I read the Vermont list serve (reports bird sightings) and saw that Ken Cox had just reported seeing a Ross's Goose at the waste water treatment plant in Charlestown, New Hampshire. I jumped in the car and raced over there!! The Ross's was still present with 15 snow geese. 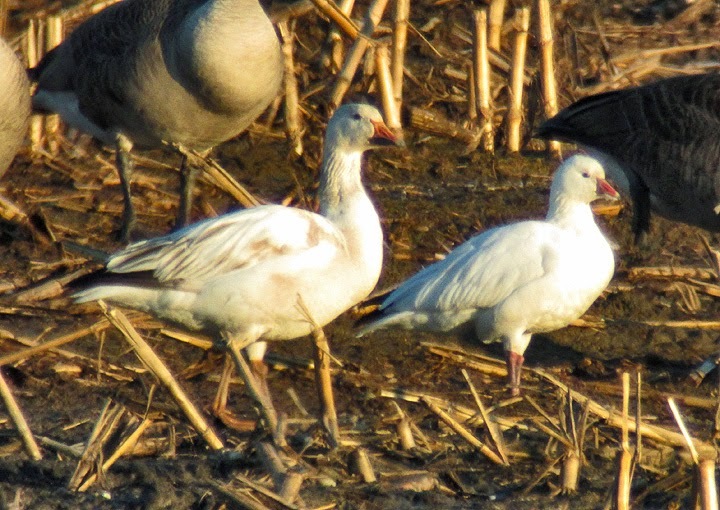 A small, white goose with black wingtips, the Ross's Goose is a miniature version of the more abundant Snow Goose. It breeds in the central Arctic and winters primarily in central California, but is becoming more frequent farther east.